We're cuckoo for coconut oil! Coconut oil fights inflammation in your body. Chronic inflammation is a big culprit when it comes to disease and aging. It balances blood glucose, which lowers your risk of metabolic disorders like diabetes. It promotes better digestion. The enzymes in coconut oil feed the good bacteria in your gut, making your whole digestive system work better. It’s good for your heart. It helps regulate blood pressure, promotes healthy circulation, and fights plaque build up in your arteries. It’s even good for your kidneys and can help to prevent kidney stone formation and the development of urinary tract infections. For a long time, coconut oil had a bad reputation. It's high in saturated fats, so it got lumped in with foods that contribute to heart disease. It contains lauric acid, which your body can convert into a powerful antiviral and antibacterial compound that can even destroy the influenza virus. The fats in coconut oil are easier for your body to break down than those in vegetable oils. So, switching from vegetable oil to coconut oil improves your digestion and helps your body use fat more efficiently. Coconut oil gives you energy without causing your blood sugar to spike, and studies show that substituting coconut oil for vegetable oil can help prevent additional weight gain in people with diabetes and pre-diabetes. 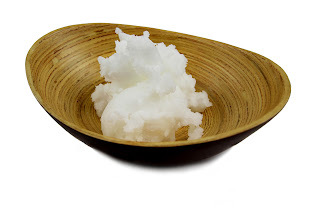 Coconut oil stimulates the metabolism – making weight loss easier. Coconut oil can withstand high heat while still maintaining its beneficial properties. The best coconut oil in terms of health benefits is unrefined, often labeled "virgin" or "extra-virgin." The label will usually tell you how the oil was processed. Centrifugal processing generally produces the mildest coconut flavor. Expeller-pressed and cold-pressed coconut oils will usually have a bolder flavor. We love coconut oil. It's part of our everyday meal plan. A great source can be found here. More articles about the benefits of coconut oil here.